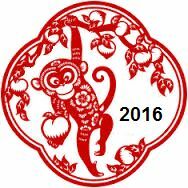 The California Stem Cell Report is going dark for the holidays and will resume during the first week of January 2016, a year that also will bring us the Chinese year of the red fire monkey. The $3 billion California stem cell agency has scored another modest media victory with a small article in The Scientist about its plans for spending $890 million during the next five years. Randy Mills, CEO of the agency, was quoted. The California Stem Cell Report was cited as well. The Scientist is aimed at life science professionals. It says it has 409,000 unique monthly online visitors. See here and here for other articles on the media coverage of the agency's new spending plan. A Japanese firm that is the beneficiary of a $16 million award from the California stem cell agency was the subject yesterday of a piece in the Wisconsin State Journal. The article by Judy Newman involved Fujifilm and Cellular Dynamics International (CDI) of Madison, Wis. The Japanese business bought Cellular Dynamics last April for $307 million. By that time, Cellular Dynamics had received the California cash to help create the world's largest public stem cell bank at the Buck Institute north of San Francisco. The stem cell agency has pumped more than $32 million into the project. The occasion for the Wisconsin story was an interview with Kazuyoshi Hirao, CDI’s new chairman and CEO, and Chris Parker, executive vice president and chief business officer. The story also reported that Jamie Thomson, the famed University of Wisconsin researcher who founded the firm, is no longer employed by it. The newspaper did not elaborate. Here are some highlights from the Q&A. "Fujifilm believes regenerative medicine (using stem cells to treat diseases) will be a $50 billion market by 2025. Manufacturing will have to ramp up with it. We will have to look at leveraging other technologies to scale the business. "The concept is that some day, we’ll each have our own iPS cells made and banked. So that when you need heart cells after a heart attack or you have eye damage from age-related macular degeneration, you pull your own cells out of the stem cell bank. Or you can use them to test drugs for toxicity before you take them. "We’re envisioning replacing existing cells that will stay in the body and not be sloughed off later." "We have a very aggressive target: 60 percent growth in revenue each year, for the next five years. We want our cells to be used for drug research and screening and for cell therapy — treating diseases." "CDI already has three cell therapy programs going — for age-related macular degeneration; Parkinson’s disease; and to replace scarred heart muscle after a heart attack — all using our iPS-derived cells. We anticipate being profitable by the end of 2017. "CDI has 160 employees, about 120 of them in Madison. We expect to hire another 15 to 20 by the end of 2016, at least 10 of them in Madison. "We are trying to change the model. Current drug testing is performed, mostly, using animal cells. By 2019, we want the majority of drug testing to use iPS cells instead. "Once the market is created, there will be a big jump in sales. That’s why Fujijilm has great expectations for this." The Los Angeles Times today carried an article on the California stem cell agency and its far-reaching plans to create an industrial stem cell powerhouse in the Golden State. Why is that particularly significant? Because the Times has a Sunday readership of roughly 4 million online and in print. The Times also rarely carries "straight" news coverage of the agency, although L.A. institutions are awash in more than half-a-billion dollars in cash from the agency. The agency has been largely ignored by the mainstream media in recent years, a subject of some concern to some members of its governing board. They would like to see much more favorable coverage of the agency's efforts. The Times gave the stem cell story some online prominence with better display than many others. However, that sort of display changes as the day wears on and editors refresh Web pages. The story originally appeared Friday in San Diego Union-Tribune and was written by Bradley Fikes. The Los Angeles Times and the San Diego paper are owned by the same company and share stories from time to time. Fikes traveled more than three hours from San Diego to cover the story at a meeting of the agency's governing board. The meeting was only 30 minutes away from the Times newsroom. The California stem cell agency received modest news coverage today of the official launch of its five-year plan for spending its last $890 million. Articles appeared in The Sacramento Bee, the San Diego Union-Tribune and on Southern California public radio. California Healthline also carried a piece that summarized most of the coverage. The number of stories may seem insignificant to some, but it is much more than the agency usually receives. It has all but vanished from the public eye. Rest assured, however, that situation can change in a flash when something truly bad or good surfaces. The coverage mirrors that of most state agencies, which operate in obscurity until a dramatic issue flares up. We should mention that the only news outlet in the state that pays reasonably regular attention to the stem cell agency is the San Diego Union-Tribune. It has assigned Bradley Fikes to its biotech beat. He was the only reporter from the mainstream media at the meeting yesterday of the stem cell agency board. Also of note was the agency's own blog piece, written by Kevin McCormack, senior director for communications. Here is how his item began. "The poet T. S. Eliot once wrote: 'If you aren’t in over your head, how do you know how tall you are?' Well, everyone at CIRM, California’s stem cell institute, is about to find out how tall we are." Here are links to the other pieces: The Bee (written by yours truly), the San Diego Union-Tribune, Southern California public radio (Stephanie O'Neill did two stories, see here and here) and California Healthline. The Bee piece may get picked up the other Bee newspapers in Fresno and Modesto. 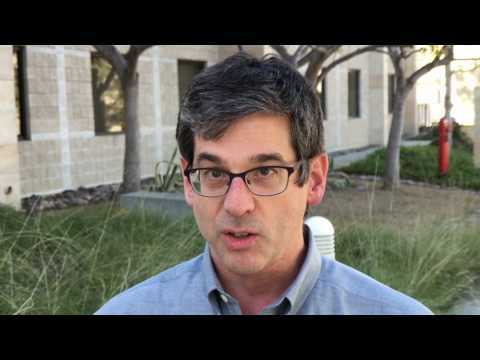 Will There Be Life After 2020 for the California Stem Cell Agency? LOS ANGELES -- Directors of the California stem cell agency, which is due to run out of funds for new awards in five years, have begun what is likely to be a drawn-out public discussion of how to finance the agency's work beyond 2020. The subject of life-after-death -- death being defined as termination of the agency's $3 billion in bond funds -- arose yesterday during a meeting of the agency's governing. Options ranged from another bond issue to seeking private, philanthropic funds. However, unless the cash comes in the form of state bonds, it is not likely to amount to the $300 million-a-year the agency was authorized to spend during the last 11 years. California Gov. Jerry Brown has also more than once deplored the amount of state debt generated by state bonds. The agency is funded through the bonds, money that the state borrows, that were authorized by a ballot initiative in 2004. Additional bonds could be provided through the initiative process, which requires millions of voter signatures, or by the state legislature placing another bond measure on the ballot. Then a campaign must be mounted. In 2004, the stem cell campaign cost more than $30 million. No conclusions were reached yesterday other than referring the subject to the directors' legislative subcommittee, which is chaired by Art Torres, a former state lawmaker and chairman of the state Democratic Party. One director, Jeff Sheehy, a communications manager at UC San Francisco, said it would be "weird" to have "somebody else control our fate by going out and collecting signatures." Sheehy did not mention it, but another initiative could also require changes in the agency itself, changes that the board might not welcome. Going to the legislature poses the same possibility of unwelcome changes. The bond issue approach has been backed by Bob Klein, who directed the 2004 campaign and was the first chairman of the agency, largely as the result of specific, narrow qualifications for the post that he wrote into state via the initiative. In 2011, Klein left his post and the governing board. Klein has talked about raising $5 billion for the agency through a bond measure, although not recently in publicly reported accounts. Last September, his stem cell advocacy group, which is headquartered in his real estate offices in Palo Alto, rose from hibernation with a Webinar highlighting "milestones" from Proposition 71, the measure that created the agency and which Klein has claimed credit for writing. The California Stem Cell Report queried CIRM in September about the Webinar. Kevin McCormack, senior director for communications for the stem cell agency, replied that it was not asked to participate in the Webinar and would not have done so if asked. CIRM director Sherry Lansing, former chair of the UC regents, urged a broad discussion of financing possibilities "the sooner the better." A number of other CIRM directors weighed in as well, indicating a general interest in moving forward on a path to future funding. No date for a meeting of the legislative committee was set. The question of financial life after 2020 came up when CIRM Chairman Jonathan Thomas discussed a $30 million, "wind-down" fund for administrative expenses should the agency have to close its door because of a lack of funding. Thomas has secured $7 million in private donations as a start, but that money will not be available unless it is matched with an additional $23 million. The California stem cell agency this afternoon posted a news release about his new, $890 million plan for the next year, describing it as bold, innovative and ambitious. Here is a link to what the agency has to say. LOS ANGELES -- Directors of the California stem cell agency this morning approved an $890 million plan for the next five years as it surges forward with a risky and ambitious effort to build an “industrial stem cell therapeutic powerhouse” in the Golden State. The agency proposes 50 new clinical trials on top of 15 already underway. Next year it expects to set up a $150 million partnership with private investors to turn research into cures. 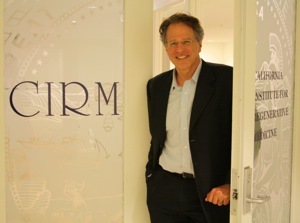 Investors would have first pick of the best research that CIRM has to offer that currently lacks a partner. Arlene Chiu, former director of CIRM's scientific programs and now with the City of Hope, told the agency board that the plan was audacious and bold. CIRM board member Sherry Lansing, former chair of the UC board of regents, praised the plan's "sense of urgency." Another board member, Steve Juelsgaard, former executive vice president of Genentech, said the plan contained projects that he had never seen before in the biotech industry. Proposition 71 was the ballot initiative that created the $3 billion agency in 2004. The campaign led voters to believe stem cell therapies were close on the horizon. None has been produced, and the agency's state bond funding is expected to run out in 2020. CIRM directors later today will be briefed on a $30 million “wind-down” plan that has attracted $7 million in private donations. More funding is being sought. One source may be the state legislature. Randy Mills, CEO of the agency since May 2014, said the plan was devised to have "the greatest possible impact for our patients. We didn’t want something ‘good enough.’ We wanted something transformational." He acknowledged the risk and size of the task, which he said is aimed at transforming regenerative medicine. But he remains optimistic that the agency’s tiny team of about 55 persons can pull it off. He gave his team full credit for developing the spending proposal. One of the riskier elements of the proposal may be the agency’s plan to offer $75 million to private investors to begin a partnership in which they would have access to the best of the CIRM-funded research that doesn’t already have a private partner. The investors, who could be a Big Pharma firm, an existing smaller company or venture capitalists, would have to add $75 million of their own money. The agency would also continue to support the selected research, thus minimizing the risk to the private investors. For months, Mills has been commenting on the reluctance of private investors to engage in stem cell therapy development, which is expensive and novel. “De-risking” is important in attracting business interest, Mills says. Competition for the $75 million is scheduled to begin behind closed doors early next year. But questions have been raised about the risk that no private investors would find any CIRM research attractive. Gregory Bonfiglio, managing partner of Proteus Regenerative Medicine, a Portola Valley, Ca., a venture capital firm, said in an interview, however, such efforts by the agency are long overdue. Another important element of the plan involves creation of accelerating and “translating” centers, funded at $15 million each, beginning next year. The agency is also likely to expand its Alpha Clinic effort, which is aimed at providing one-stop treatment centers. The translating and accelerating centers would work with the Alpha clinics and other researcher to provide much of the “backroom” work needed to negotiate federal rules and regulations and win ultimate approval of a therapy. LOS ANGELES -- Directors of the $3 billion California stem agency this morning began discussion of its spending plans for the next five years, an $890 million effort that is designed to "transform regenerative medicine." Jeff Sheehy, chairman of the Science Subcommitte of the board, praised the effort, especially the "metrics" that measure the agency's teams performance at all levels. He said the staff developed metrics within each area. LOS ANGELES -- Here is the financial state of awards by the $3 billion California stem agency. The effective burn rate is $170 million a year -- the amount of money that can be awarded -- because of return of funds on grants that have been terminated. LOS ANGELES -- The California Stem Cell Report will bring you gavel-to-gavel coverage beginnin this morning of today's meeting of the governing board of the California stem cell agency, which is expected to approved an $890 million spending plan for the next five years. The proposal includes an ambitious, $150 million effort to join next year with a private partner to develop the best of the agency's offerings that do not yet have a private partner. To entice business, the agency is putting up $75 million. It expects the private partner to put up another $75 million. You can read about all that and more on the California Stem Cell Report as the day progresses. Stories will be filed as warranted. “The $30 million is to help ensure that we have funds to cover the administration of all the awards we make in the next five years. As you know those are multi-year awards so if we can continue making new awards till, say, 2020 we also want to make sure we have enough money in our admin bucket (which is separate fro the research bucket) to cover the supervision and support for those awards. Presentation documents posted online made reference to public funding, but had no specifics. Currently the agency survives on money borrowed by the state under the terms of the ballot initiative that created the research program in 2004. However, that $3 billion source is shrinking, and the agency is down to its last $890 million. The online documents made no mention of plans to continue with new awards or loans beyond 2020. Jonathan Thomas, agency chairman, is expected to provide more details tomorrow to the board on the financing plan. The California stem cell agency today unveiled the first concrete indication that it will have significant cash after 2020, when its funds are scheduled to run out for new awards. The news came in a memo quietly posted last night on the agenda for tomorrow’s meeting in Los Angeles. The memo said the agency had received pledges of $7 million in private support that appear to be the first installment in a $30 million, four-year funding plan beyond 2020. Details were not immediately available. Jonathan Thomas, chairman of the agency, is scheduled to brief board members on the funding plan tomorrow. But based on the memo and a presentation document, Thomas appears to be looking forward to private funding along with some public support, presumably from the state of California. However, the presentation labelled the funding as a “wind-down” operation. The William K. Bowes, Jr. Foundation is providing $5 million to the agency, and the Franklin and Catherine Johnson Foundation is adding $2 million, the memo by James Harrison, the agency's general counsel said. 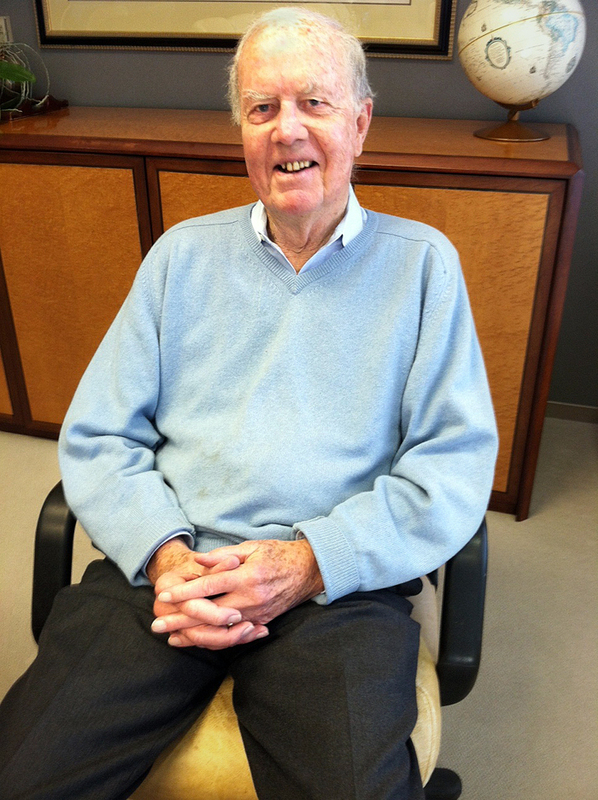 The Bowes Foundation in 2012 gave $5 million to the UC Santa Barbara stem cell program. Bowes is the founder of Amgen. California’s $3 billion stem cell agency this morning made it clear that it is not backing away from taking on the $4.9 billion Federal Drug Administration(FDA). “Patients are dying” because the federal government is “being so careful about safety,” Randy Mills, president of the agency, said in an item on its blog, The Stem Cellar. “Doing nothing is not okay,” said the headline on the piece, written by Kevin McCormack, senior director for communications for the agency. The FDA is too slow, too concerned about safety and needs to remove rules that are “bad for patients and regulators,” said the item. Mills has been beating a drum concerning the FDA for a number of months, citing a non-scientific survey of agency stakeholders that showed 70 percent of them identified the FDA as the No. 1 impediment standing in the way of CIRM’s goals. Significantly, McCormack’s piece comes one day before the board of the California Institute of Regenerative Medicine (CIRM), as the agency is formally known, meets in Los Angeles to approve a plan that includes 50 new clinical trials over the next five years. All of those trials require FDA approval. In the proposal, Mills identifies FDA foot-dragging as one of the risks to successful completion of the $890 million effort. “We have had the current FDA regulatory structure for cell therapy in place for 15 years, and in that 15 years not one stem cell therapy has been approved. The scoreboard is not lying, there’s a zero on it. Not one therapy has been approved. There is an issue here, we can’t ignore that fact and so we made it part of our proposed new Strategic Plan to try and remove this burden. For all the latest doings by the $3 billion California stem cell agency, follow the California Stem Cell Report on Thursday for on-the-scene reporting as the agency officially approves its new course for the next five years. Directors of the agency are scheduled to meet in Los Angeles to ratify a spending plan for its last $900 million. Also on tap is a risky, $75 million venture aimed at pushing the best of CIRM's research into the marketplace. The California Stem Cell Report will provide gavel-to-gavel coverage, but avid followers of the agency can listen in on the Internet or from two telephonic locations in San Diego and at Stanford. Details are on the meeting agenda. No doubt exists that Bob Klein left his mark on the $3 billion California stem cell agency. Sometimes he is described as the father of the agency. He was its first chairman and led the drive to win voter approval of the research effort in 2004. The agency has been under new leadership since 2011. And this Thursday some of the marks left by Klein are going to be erased. Minor stuff now, but they recall some of the issues that rumbled through the agency in earlier days. For example, the agency’s rules currently restrict to 12 the number of employees in the chairman’s office out of an agency total now of 55-56. The restriction is almost certainly to be removed on Thursday by the agency’s governing board. A memo by agency general counsel James Harrison said mildly that “disagreements” existed during the Klein regime about staff resources, leading to the limitation. Those disagreements were actually sufficiently harsh that the stem cell board at one point in 2007 felt compelled to strip six employees from Klein’s office of chair, limiting him to four. To help avoid those unseemly situations, rules allowing telephonic attendance by key members of the board were enacted. Nowadays, the meetings proceed with dispatch, often ending early, much to the satisfaction of board. So the board on Thursday plans to expand the use of telephonic meetings, which could well be a plus and a minus. The move will increase the number of offsite locations where members of the public and researchers can weigh in remotely with comments during meetings, a feature that has been lightly used. On the other hand, there will be less face-to-face contact between members of the board, something that is an important aid in finding solutions to touchy problems. "Stanford University, Memorial Sloan Kettering Cancer Center, and other prestigious medical research institutions have flagrantly violated a federal law requiring public reporting of study results, depriving patients and doctors of complete data to gauge the safety and benefits of treatments, a STAT investigation has found. "The worst offenders included four of the top 10 recipients of federal medical research funding from the National Institutes of Health: Stanford, the University of Pennsylvania, the University of Pittsburgh, and the University of California, San Diego. All disclosed research results late or not at all at least 95 percent of the time since reporting became mandatory in 2008." Francis Collins, head of the NIH, said he finds the failure to report "very troubling." A Southern California firm that repeatedly and unsuccessfully sought funding from the $3 billion California stem cell has received the go-ahead in Australia for human testing of a treatment for Parkinson’s Disease, it was reported today. In an article today in the San Diego Union-Tribune, reporter Bradley Fikes described the move involving International Stem Cell Corp. (ISCO) of Carlsbad as appearing to be a “medical first.” The company's stock price jumped nearly 16 percent today on the news. “If all goes according to plan, doctors will implant replacement brain cells into 12 Parkinson’s patients, probably in the first quarter of 2016, said Russell Kern, the company’s chief scientific officer. These are called neural precursor cells, a slightly immature kind of neuron. The cells will finish maturing in the brain into the kind of neurons destroyed by the movement disorder. The day after Fikes' story appeared, the stem cell posted an item on its Stem Cellar blog about the effort. Fikes wrote that the firm’s trial will be the first Parkinson’s trial using replacement brain cells grown from stem cells, according to clinicaltrials.gov. The trial will be conducted by the firm’s Australian subsidiary, Cyto Therapeutics. Fikes reported that company’s effort is similar to other research in the San Diego area. “Loring said she views ISCO as a partner in fighting Parkinson’s. One of her former students is working for the company, she said…. The firm’s stock closed at $5.00 today, up nearly 16 percent. Its 52-week high was $12.30 and low was $1.25. Here is a link to the company’s press release on the news today. The stem cell agency plan is dubbed ATP3. Here is some of the criteria. California’s $75 million, stem-cell dip into venture capital waters poses an “embarrassing risk,” according to a story in the San Francisco Business Times. Leuty wrote yesterday about the agency’s proposed plan, first reported last week by the California Stem Cell Report. The agency plans to entice -- with $75 million -- Big Pharma or other investors into a partnership. The private partner would also have to pony up $75 million. The combined enterprise would have first pick of the best of CIRM’s unpartnered research. “But there's a potential downside as well if nobody shows up to window shop at CIRM, much less to buy, because stem cell therapies are largely unproven, said Andy Schwab, a managing partner at Menlo Park venture capital firm 5AM Ventures. “CIRM also hasn't invested in areas around white-hot CAR-T therapies, where chimeric antigen receptors on the surface of immune system T cells are genetically engineered to amp up their recognition and ability to kill cancer cells. "’It's an innovative solution to what they've been trying to do — to rush basic research concepts into actual treatments that meet people's medical needs,’ said John Simpson, an advocate and former stem cell project director with Consumer Watchdog, a Santa Monica nonprofit that for years tracked CIRM policies and spending. "’There are potential pitfalls if (the spinout) goes to somebody's buddies,’ Simpson said. ‘But as long as the board does its job and closely vets the awards, this could have some real payback.’"
Responding to a query today from the California Stem Cell Report, Kevin McCormack, senior director for CIRM communications, said that "under CIRM’s IP (intellectual property) regulations, a company that licenses CIRM projects and commercializes them would owe a royalty to the general fund of the State of California(not CIRM). However, we are contemplating awarding funds to the successful ATP3 applicant as a loan, and under Proposition 71, the proceeds of a loan are paid to CIRM for the purposes of making additional research awards. So it is possible that, in addition to the royalties it would owe the general fund as a result of licensing and commercializing CIRM projects, the successful awardee may also owe money to CIRM. " The $75 million proposal comes up for ratification by the agency board next Thursday at a meeting in Los Angeles. Stem Cell Cures: Who is Going to Pay? Money and the FDA were on the agenda today over at The Stem Cellar. The Cellar is the blog of the $3 billion California stem cell agency, whose minions were on the scene in Atlanta for the World Stem Cell Summit. Kevin McCormack, the agency’s senior director for communications, wrote about the FDA, only a couple of weeks after the agency took on the FDA for slowness and excessive caution. Don Gibbons, who also works in communications for the agency, wrote about the minor matter of money -- just who is going to pay for stem cell therapies. Use of the word “reimbursement” is Big Pharma’s way of NOT saying that profits must be made if treatments are going to be produced. Unfortunately, the use of the term ill serves the industry by creating the impression among the public that they are being hornswoggled with jargon. The word smacks of entitlement, as if someone should guarantee the drug companies billion-dollar earnings. McCormack focused on what he called a “clarion call” by Robert Califf, the deputy commissioner for the Food and Drug Administration (FDA), who has been with the FDA only eight months. Califf called for deeper patient involvement in drug development decisions. McCormack did not link to the strong language concerning the FDA found in his agency’s new plan for spending $900 million over the next few years in search of a stem cell therapy. Underlying both pieces on The Stem Cellar are two issues for the CIRM board to consider next week as it eyes the future. Does the agency, which will cost the California public roughly $6 billion including interest, want to fund research that is likely to lead to enormously expensive treatments that insurers and the federal government (via Medicare and Medicaid) will be reluctant and even refuse to pay for. The usual argument is that prices will ultimately come down. However, we have already seen strong evidence to the contrary. The concerns have risen to the level of presidential politics and are not likely to vanish, regardless of the hopeful expectations of industry. As for the FDA, when safety is the all-pervasive driving force of the FDA, it naturally will lead to slower action and caution on new treatments. California’s stem cell agency, however, is looking for significant results in the next five years. Its money is running out. Cash for new awards will vanish in 2020. And the possibility of raising significant new funds is bleak if the agency cannot show major results after what will be 16 years of effort. Looking for a terrific iPhone case with room for cash and cards as well? Look no further. The case comes in in different shades. Saddle black here. You can find it at coveredplanet.com. The case is called The Traveler and is "the world's best leather iPhone wallet case." It provides "easy convenience and rugged protection" for people looking for more than the usual plastic. In other words, a perfect holiday gift. But first a disclosure: Coveredplanet is an enterprise run by this writer's son out of Santa Barbara. He devised the case initially as a personal solution, inspired by the old days of cattle ranches, vaqueros and saddle-making on the California coast. 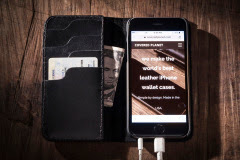 Coveredplanet says the case is "handcrafted here in the USA by some of world's best leather craftsmen, and we use only the highest quality materials - saddle grade leather, sturdy parachute thread, black matte finished polycarbonate cases and brass plated rivets - in our products. If you're not 100% satisfied, we also provide a 30-day return policy for your leather iPhone wallet case, but, we think, you'll never want to give it back." Please check it out. A 20 percent discount is available until Dec. 15. Type in FAF20 when ordering. The FDA is one of the favorite whipping boys in Washington, D.C., but it is not often that a state governmental agency also decides to thrash the body that is charged with assuring the safety of the nation’s drugs and medical treatments. California’s $3 billion stem cell agency, however, is doing just that. As part of its new plan for spending its last $900 million, the agency is lambasting the FDA for standing in the way of speedy development of stem cell therapies. It should also be noted that stem cell therapies provide novel challenges, much more so than conventional, new drug offerings. Nonetheless, here is the text of what the California Institute for Regenerative Medicine had to say about FDA in its new strategic plan, which is expected to be approved Dec. 17 in Los Angeles. “We heard a resounding chorus frommost stakeholders of the enormouschallenges with the regulatory burdensplaced on cell therapy in general, andstem cell therapy even more so, by theFDA. Instead of the ever growing bodyof work in cell therapy, with its overallexcellent safety record, making thepathway to approval smoother, it seemsto many that the requirements imposedby the FDA are increasing. “A recent therapy touted by the FDAas a success had such a high clinicaldevelopment burden placed on it thatby the time it was finally approved,standard of care had evolved andits market was significantly reduced,leading to liquidation of the company.Companies, and sadly patients, mustgo outside the United States, as faraway as Japan, to find regulatoryagencies willing to work successfullytowards approval. “Ultra-orphan diseases still must reachthe same statistical burden, whichrequires larger effect sizes than seenin the majority of approved, successfuldrugs and biologics. Everyone hastheir own list of how the FDA makesit seemingly impossible to take stemcell therapy through the regulatoryprocess. In 2014, Japan recognizedthe differences in regulatory approachesneeded for regenerative medicine andtook action. However, the FDA does notappear to have the same motivation. Infact, in a disturbing turn of events, FDAhas recently began providing certainmembers of the U.S. Congress withcompletely one-sided information on thedangers of cell therapies encounteredin clinical trials. However, FDA failedto provided any context or balancedinformation regarding the safety recordof cell therapies that comprises the vastmajority published clinical literature. TheFDA appears to be literally lobbyingagainst the very therapeutic modalitythey are responsible for promoting.